"Under Skolas' vassal Pirsis, called Pallas-Bane, the Wolves amassed the largest Wolf fleet that had been seen since the Scatter." 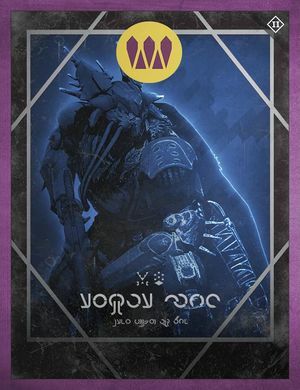 Pirsis, Pallas-Bane is a noble of the House of Wolves. She led the Siege of Pallas during the Reef Wars, where she tried and failed to rescue Drevis, Wolf Baroness from the Awoken. She too was eventually captured, and sent to the Prison of Elders. During the Wolf Rebellion, she escaped to The Divide on Earth in the Cosmodrome. She was killed by Glimmer-hungry Guardians on orders of the Queen's Wrath Petra Venj.